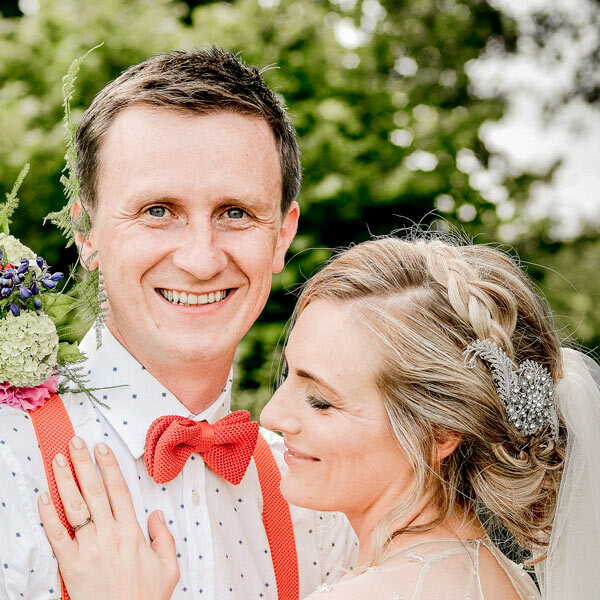 We hooked up with our friend Sam Parker a professional make-up artist to talk all about themed wedding make-up and how to get it right! What would you say are the most popular wedding make-up trends of the moment? Themed weddings have obviously become a major trend and the most popular themes I’ve seen are Vintage, Boho and then the obvious Classic Elegance. 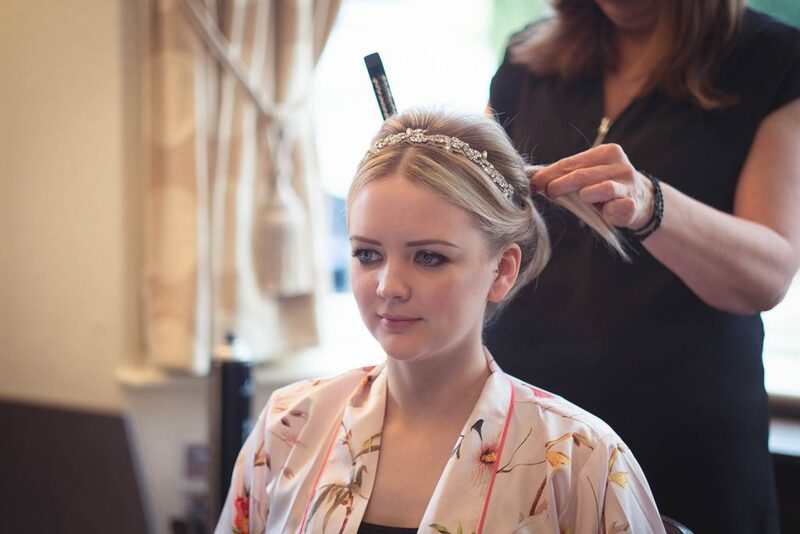 So how do you create the perfect hair and make-up for a boho bride? Boho weddings entail something of an understated look. Think lace, nature, softness, loose. The whole point is to be much more of a free spirit and I’m not talking Woodstock hippy. Incorporating a bit of a festival type look into this would work really well. With hair, depending what length you have, I would suggest for long hair, soft waves and loose, maybe the top pulled back with an almost half up half down look. don’t be scared to incorporate some braids into the look, either pulled back into the hair or one braid across the front almost like a headband. Also, it goes without saying that no boho hairdo would be complete without flowers woven into the hair. Cute daisy chains can never be a bad thing or flower headbands of roses or simple white flowers. Simplicity is key to this look. With the make up, as ever, it’s important to look like yourself, but better! Fresh faced and flawless, and possibly just a tinted moisturiser. If you’re a lover of the boho chic lifestyle it might be fair to say that you don’t wear much make up anyway. If you don’t usually wear a base I would probably recommend at least a light coverage of tinted moisturiser. For eyes, keep it soft and simple. Natural colours like a light wash of taupe, beige or even a green would look beautiful and fit well into the theme of nature and balance out colours in the flower stems. No heavy colour required here. Unless you want a more of a high fashion look and have a love for eyeliner you could go simple yet bold on eyes by really darkening them all around but keeping the complexion fresh and simple. I never think you can go wrong with a nice slick of gloss, I would keep it fairly colourless so as to fit the theme. And for our vintage loving brides out there? Vintage is HUGE! And not just in weddings but everywhere you look these days. 50’s heyday themes are staring back at us and we love a bit of British nostalgia. 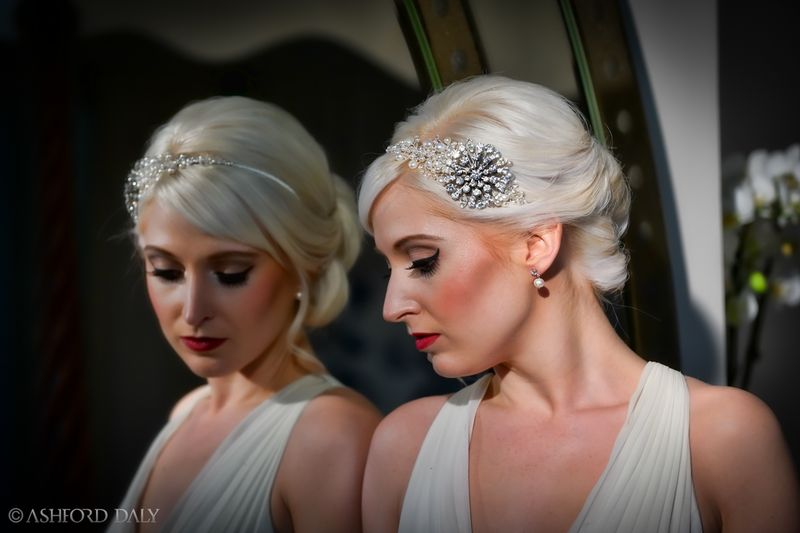 In terms of vintage hair and make up there is no other way to be but classic. Channel your inner Marilyn, Audrey and Dita. Striking, classic and sophisticated- that’s how it’s done. For hair the choice is dependant on your face shape and how you want to look, low buns and loose curls could be an option as much as a sleek french pleat. If you have short hair and are going very traditionally vintage then finger waves are a great option- just make sure you have a fab hairdresser who can work with these kinds of styles as they can be quite easy to get wrong. Super sleek and high gloss are a vintage must, more ‘put-together’ than the boho looks I was discussing earlier. For Make Up, think classic. There’s no other way to be. Clean, flawless and perfect, that’s what this look is all about. The vintage look envisages strength in a woman with a strong red lip (with no pink undertone- has to be a pure red) and a clean classic eyeliner flick. Complexion should be flawless and perfect, highlighting all of your best features and not heavy on colour. If you don’t want to be too classic and to obvious then go for a modern twist on vintage. Still keep a flawless complexion not too heavy with colour, maybe a rosiness to the cheeks. Maybe add a colour to the lids with a subtle gold but keep the fluid liner. Lashes are always a winner, make them stand out and make them jet black. And if you’re not a red lip wearer then maybe look for something with a red undertone to it, a sheer option is something that is easier to wear and not quite as overpowering or a rosy lip tint to tone in with the colour on your cheek. Finally What are your tips for creating the ultimate, classically elegant look? This look is obviously the traditional bridal look. For your make up and hair here, again as always it’s a case of looking like you, but better. You can go minimal or you can go bold, let your personality come through. With hair I would go with what suits you best, keep it neat and clean. Buns are something you can’t go wrong with, either high on the head or loose and to the back and side of the head look beautiful with soft waves and tendrils. Brides are embracing the idea of romanticism within their hairstyles which is why I think loose is better. Waved hair loosely pinned back and accessorised with bling or flowers is a romantic style that leaves the face looking soft and fresh. It’s also an easy look to wear with any style of dress. 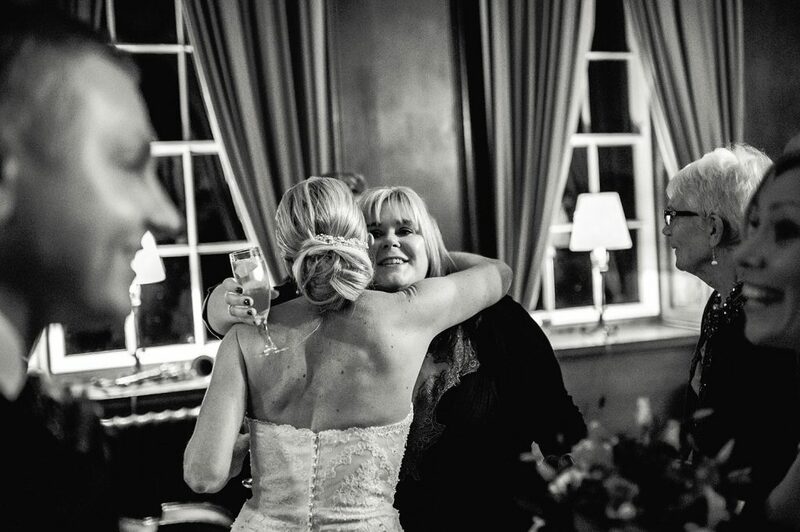 For make up, I have noticed brides wanting to use the colour of their bridesmaids dresses into their make up, to which I say, do it, depending on the colour, but do it in a sophisticated fashion. For example, if your bridesmaids are wearing navy blue dresses but you’re someone who isn’t one for colour then use a colour which suits your eyes, again I like to use taupes and bronze/golds and then use the navy blue as a little bit of liner across the top of your lash line or into the corner of the eye. I love using purples too, and not in your face bright OTT purple, but purple undertones. I often use a duo eyeshadow palette by NARS called Kalahari which has a taupe side and then the other side has more of a purple undertone. I tend to use a soft touch shadow pencil in Calabria, a purple pencil, all over the lid and then when pressing on the taupe side of the palette you are creating your own colour and you’ll see the taupe but with a purple undertone. It’s a great and very versatile palette which can be worn very naturally or vamped up with purple and black liner. Complexion has to be flawless and perfect and a little more colour to the cheek, soft pinks and apricots work well and I often combine the cheek and lip colour for a nice tonally matching finish. Another tip I’ll give you is never be too matchy matchy, it looks juvenile and dated- that’s just my opinion but I try to steer people away from that. So what are your plans for big day make-up? Please do share your ideas with us.